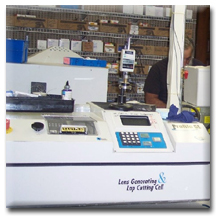 Our lab has a huge inventory of all of the latest most advanced optical lenses available today. 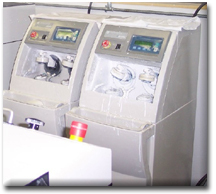 We have one of the most advanced fully computerized optical labs capable of making almost any prescription to exact specifications ordered by the Doctor in almost any material. We will fill a prescription from any Doctor. So whether you are in the need of a bifocal, trifocal, progressive lens or polarized prescription sunglasses look to us for quality and satisfaction. If you are looking for the lightest, thinnest, lens in the world, it can be found at Lange Eye Care. If you have Macular Degeneration or there is a family history of it and u want the best protection then u will want a Blue Blocking lens or a Blue Filtering lens like the ohthalmic Blue Guard, Blue Light Defense, Blue Light Shield, Blue Tech or Prevencia Lange Eye Care can make all 5. We also carry many specialty sport frames with top brand lenses, many that can be fitted with your prescription such as: Swim Goggles, Snow Ski Goggles, Shooters, Mountain Biking eye wear, Motocross and Streetbike eye wear and Scuba-Diving Masks. What ever your sporting needs we have the optical answer. 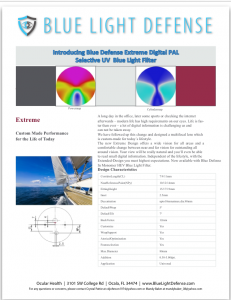 Our lab is capable of producing the most intricate detailed optical work. All of our lab personnel and master opticians have years of experience and training. We can duplicate your prescription, fill a prescription from another Doctor, and provide you with a new prescription. 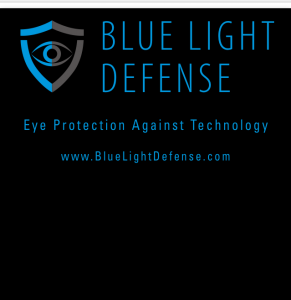 New Ophthalmic Blue Light Defense or Blue Light Shield – the most advanced blue filtering lens in the world. this lens is clear, no yellow color or purple haze!